Home / Blog / Why a Missionary Board? Is it really necessary for a missionary to serve under a mission board? Some think such an arrangement is unscriptural and bypasses God’s appointed agency-the local church. Is there any legitimate defense of the existence of mission boards? Some have pointed out that there were no mission boards in New Testament times. This, of course, is true. Neither were there Sunday schools, camps, radio stations, Christian colleges, or seminaries. However, is the existence of such entities unscriptural? Is a mission board unscriptural or may it fit into the pattern of missionary work outlined in the New Testament? Why a mission board? We believe there is a case to be made for the legitimacy of a mission board. What are some of the reasons supporting their existence? The local church is God’s appointed center for missionary work. Missionaries are sent and supported by the local church. It is the church to which they report upon their return (Acts 14:26). When a missionary candidate applies to the mission board, he or she must be approved by their pastor and church before being received as a missionary appointee. Once they are on the field, they are still responsible to their sending church. If problems arise with the missionary, the pastor of the sending church is immediately contacted, the matter is discussed, and an appropriate plan of action is formulated. The deputation method tends to help retain local church control over the process of selecting the missionaries whom they will support. This contrasts, for instance, with the Southern Baptist Cooperative Program where missionary support comes from a “common pot” of funds. It should also be remembered that the Board of Directors/Trustees of a mission board is composed primarily of pastors. It is not true, therefore, to say that the mission board replaces, interferes with, or ignores the local church. The mission board is simply an agency serving thousands of local churches that use it. It is a means of assisting local churches in obeying the Great Commission. It does not seek to usurp the authority of the local church. The process of screening an applicant for missionary service is extremely important. Over the years, leaders of mission boards have learned what questions to ask and what areas of life to probe. Based upon considerable experience, the mission board seeks to determine whether or not this applicant is fit for missionary service. Multiplied thousands of dollars will be poured into the ministry of each missionary, and the churches and individuals who give deserve to have some reasonable expectation that the money will be well-spent and that the missionary is trustworthy and capable. In considering someone for missionary service the first and primary concern is how his own local church perceives him. 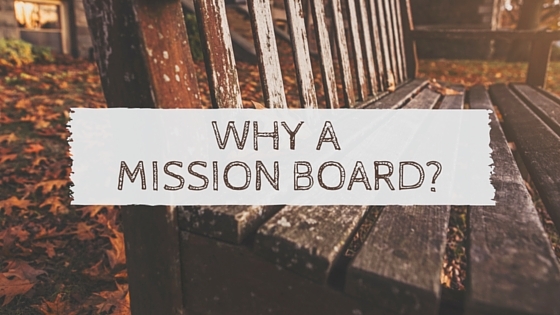 If his or her own church is hesitant about approval, the mission board will not proceed. To put a neophyte appointee on the road to raise several thousand dollars in support and passage without any proper training is suicide. The young missionary may have ever so much dedication and zeal, but if he has no training in how to present his work, he will struggle and perhaps fail to get to the field. BWM requires all newly-appointed missionaries to attend two separate one-week training sessions called “Orientation Seminars.” During these times, classes are held from morning till evening. Instruction is given on a variety of matters, which not only have to do with their deputation but with their service on the field. These classes are taught by Mission administrators, missionaries, and other experienced personnel. “Where do I start? What churches do I contact for meetings?” These are questions the fledgling missionary naturally asks. He may have very few contacts apart from his own church. A mission board with contacts nation wide can supply him with the names of churches that may be interested in supporting him. 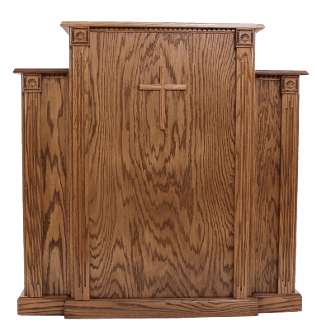 These are generally churches that have already shown some interest in the mission board and its missionaries. Help in this area can save the missionary days of work and perhaps months of frustration. When a missionary goes to a far country, he usually must delegate many of his financial obligations to someone else because he is not in a position to handle them directly himself. In this area a mission board performs an invaluable assistance. All the gifts sent to the missionary are deposited to his account. An accurate, computerized record is kept so that he knows the source of every penny. The mission board office distributes funds for taxes, insurance, furlough, emergency, medical, retirement, etc. All of this is done in accordance with a field budget which has been established for him. From long experience, a mission board finance office knows how to establish a budget for a particular field. By adopting a sensible and adequate budget for the missionary, his welfare when on the field can be reasonably assured. Often missionaries without this guidance go to a field woefully underfinanced and sometimes have to come home to raise more support. Missionaries need the fellowship of other missionaries as well as godly pastors and other leaders. An annual meeting of Baptist World Mission supplies a Bible conference atmosphere for all members of the mission family. Each deputation missionary is required to attend one Family Seminar, a week-long school on marriage and the Christian home, before going to the field. As was already mentioned, a week-long Orientation Seminar is held each year in which instruction is given. Finally, where it is practical, there are field conferences held periodically to which missionaries in a given area of the world can go for biblical exhortation and mutual encouragement. Individual missionaries will prosper as the general cause of missions is elevated in the minds of the Christian public. The more people are made aware of the Great Commission and its implications, the more they will be inclined to support individual missionaries who are seeking to preach the Gospel to the ends of the earth. A periodical is important in this regard. It addresses pertinent issues, informs God’s people, and motivates missionary giving. A missionary associated with a mission board producing such a periodical benefits from its circulation. If the mission board publishes other literature relative to missions this is also an advantage. Few local churches can provide all the services mentioned. The average fundamental church is a smaller church. It does not have the resources to service all the needs of a missionary as described above. Perhaps there are some churches that can do this, and, if so, they should certainly do it. Realistically, however, there are few churches, even large ones, who possess the personnel, the finances, and the “know-how” to be able to support the missionary adequately when on the field in a far-away place. For this reason, in most cases, the missionary applicant will choose to serve with a mission board. Mike Williquette is the business director of Baptist World Mission.